This is not a new photo but it is a favorite. 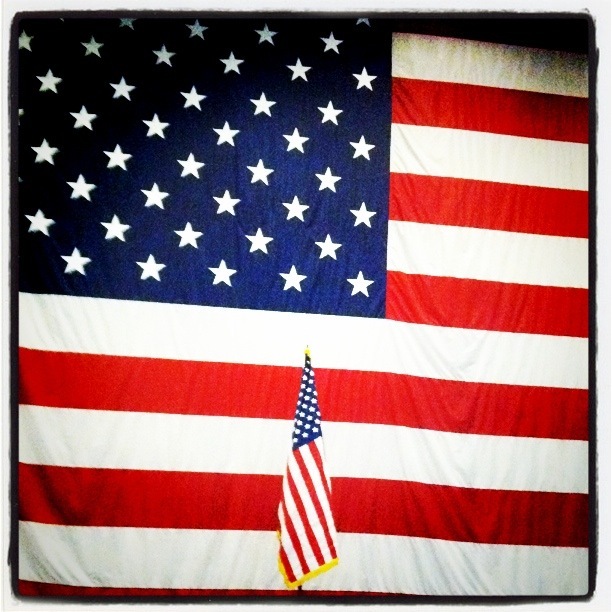 The particular culture that I belong to….a subset within a subset….that of the military spouse….begins and ends with this flag. I’m a part of this culture of service because of our flag and all that it represents. This culture is about a life of frequent moving, of acronyms, of spouses who leave for long periods of time, of a job that is 24/7, 365 days a year. It’s a culture in which I have cultivated hundreds of friends throughout the years, most of whom I’ve found I can pick up with, exactly where I left off, years, or even decades later. We have shared each others sorrows and celebrations, often for short but intense periods of time. At its best, it’s a culture of unquestioning support and love for each other. No one else quite gets it and so we experience great bonds with those who share it with us. And it’s all because of this flag….the flag we pledge allegiance to, the flag our active duty spouses will lay down their lives for. I can’t imagine being prouder to be a part the customs, arts, social institutions or social achievements of any other group of people.